How Did the Mongol Invasions Affect Global History? The Mongol invasions of the 13th century affected much of Eurasia, where at one point the Mongols had conquered lands stretching from China to Eastern Europe. While these invasions have been depicted as very destructive and disruptive to trade and urban life in many regions, there were a number of new developments that fundamentally changed the course of history for Europe and Asia. Many of these impacts are not obvious but the influence of the Mongols, in effect, can still be felt today. The Mongol conquests initiated by Genghis Khan, who united the often warring Mongol and Turkic tribes, in 1206 and continuing through his successors until the end of 13th century launched a period of unprecedented destruction and transformation for Eurasia. At surface value, the destruction during the 13th century when these conquests took place was immense. Some have estimated that the Mongol invasions killed more people than any other war if one adjusted for global population levels, where up to 5% of the planet may have been killed during the invasions. Additionally, the invasions have been suggested as helping to begin the spread of the Black Death plague, as tactics and movements of population may have helped the bacteria to more easily spread. Many of the great cities in East Asia, Central Asia, and West Asia were either destroyed or lost much of their cultural property. Cities as diverse as Kiev, Nishapur, Samarkand, and Baghdad were heavily damaged or destroyed. In some countries, it is estimated that nearly half or more of the population died in the invasions and aftermath, where in some regions the populations did not fully recover until the 20th century. Figure 1. Areas conquered and incorporated by the Mongols. While the conquest of the Mongols peaked in the 13th century, they did continue to invade and attack various regions long after this time. In the 14th-15th centuries, China and Iran continued to be under Mongol control, while the Mughal state in India lasted into the 19th century and was influenced by the earlier Mongol invasions. Many of the key trade cities along the Silk Road and regions in China did initially decline due to the invasions but the situation soon changed as much of Eurasia remained pacified for much of the 13th-14th centuries, leading to regained prosperity along parts of the Silk Road. Figure 2. 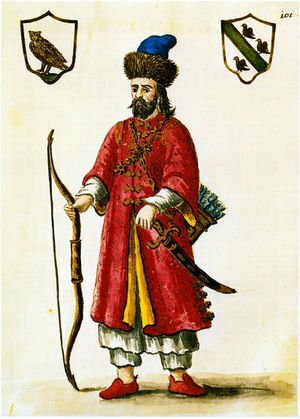 Marco Polo dressed in Tatar clothing, often used by Mongols. The Mongol invasions did cause a prolonged peaceful period called the Pax Mongolica. While in the period prior to the Mongols, many of the great states contended with rivalries and their own regional conquests, this also limited some contacts between them. The Mongol dominion now opened up new connections that were easier to traverse as regions between Eastern Europe to China were largely pacified. The Mongols also acquired new technical knowledge, such as Chinese engineers, and taxes as they expanded their empire. 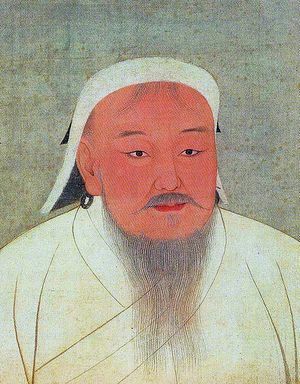 This enabled them to create a more stable empire that then began to govern and see the benefit of developing cities for the benefit of the Mongol rulers through increased revenue. Ultimately, the conquests led to a relative political calm in much of Eurasia that came after the initial conquests. In Europe, and preceding the Age of Discovery that led to the founding of the New World, explorers such as Marco Polo were now able to more easily go on the Silk Road and travel across Eurasia with minimal hindrance and banditry (Figure 2). Knowledge now also began to more freely move across China and Europe, leading to methods in mathematics, medicine, printing, and astronomy to be brought to Europe. New forms of banking and insurance practices, first done in Eurasia, now also spread to Europe and helped lead to the founding of important banking and insurance families in Italy and beyond. In effect, the knowledge and information transfer that became easier did help lead to what would become the Renaissance in Europe, where it was first started by Italians who were most closely associated with trade activities in the Silk Road and contacts with Eurasia. Products such as pepper, ginger, cinnamon, nutmeg, and other spices now were introduced to Europe at much greater rates. Prices for products dropped as fewer authorities competed for taxes collected along the Silk Road. Additionally, with increased trade activity once again becoming common, and new knowledge spread to Europe, as well as developed within, there was a greater impetus to now circumvent the revitalized Silk Road in the 15th century. Traders saw the potential to benefit more if parts of the trade network were avoided and if distance and travel time could be cut to the major product regions of India and China could be reached. Improved navigation and ship building now meant ships were better able to traverse more distance and along open oceans. In effect, the motive for later sea explorers, including Christopher Columbus, was to reach the riches of the east, including India, as diminished prices and potential profits along Silk Road destinations proved to be very tempting. The discovery of the New World was, in some ways, then influenced by the Mongol conquests since it reengaged Europe in trade with the East and led to explorers wanting to find new routes to circumvent middlemen along the way to the major destinations and eventual markets. Over time, much of the influence of the Mongols has become more of a background to other historical developments. Important trades shifted away from the Silk Road, and the New World gained a greater significance in the global economy. However, one area that the Mongol invasions have continued to affect is in demographics. Central Asia has experienced some of the greatest changes, where the decline of Indo-Aryan or Indo-European languages, such as those based for Persian, reflect a shift more to Turkic type languages. This also likely reflects greater presence of Turkic populations as they increasingly moved across Central Asia during the period of conquests that saw major cities and populations removed. Such migrations had begun in the 11th century but increased further. Many regions remained relatively depopulated for centuries, such as Iran and Iraq, where those regions had once supported far larger populations and those levels of populations did not fully recover until perhaps the 20th century. This also meant these regions became less significant in global affairs, as new powers arose to replace them in the Near East and surrounding regions. In China, the impacts did also lead to new political developments. The Yuan dynasty became a successor Chinese state from a Mongol khanate. However, in China, the invasion may have not been as destructive to the population, as they seemed to recover by the 14th and 15th centuries. Nevertheless, the experience of China with the Mongol invasions may have contributed to its isolationist policies that started in the late 15th century. The outside began to look like an uncivilized place, where the Mongol destruction was still relatively fresh on the mind of Chinese rulers, leading to a greater focus away from the rest of the world. This had long-term consequences for China, as it led to its economic and eventually political decline in the later half of the 2nd millennium and leading up to the early 20th century. In effect, one of the great global powers began to become insular. The Mongol invasions were among the most devastating invasions in global history. Few recorded events in history caused by human actions have been as destructive and wars may have not reached a comparable scale until the 19th and 20th centuries. However, there were greater impacts based on the invasions, mainly it also created opportunities for some regions while others saw their fortunes fall. Perhaps Europe benefited from the invasions as it helped to lower prices in trade goods that now began to flow more greatly. New knowledge also flowed to Europe that helped to combine with shifting attitudes, which eventually launched the Renaissance. Other regions, particularly in the Middle East, declined in political and economic power, as depopulation had major consequences. Policies in China, in part, also adjusted based on experiences with the Mongols, that then led to new rulers in China to become, over time, more isolationist. Demographic changes occurred as new migrations became possible that have now subsequently affected today's populations in the Middle East and Central Asia in particular. Many of Indo-Arayan languages across Central Asia have subsequently been replaced by more Turkish based influences. ↑ For more on the conquests by the Mongols, see: Saunders, J. J. (2001). The History of the Mongol Conquests. Philadelphia: University of Pennsylvania Press. ↑ For more on Mongol war tactics, see: May, T. M. (2007). The Mongol Art of War: Chinggis Khan and the Mongol Military System. Yardley, Penn: Westholme. ↑ For more on the political effects of the Mongols, see: Reid, S. (1994). Cultures and Civilizations: The Silk and Spice Routes. London: Belitha Press : UNESCO Pub. ↑ For more on the "Pax Mongolica," see: Parker, C. H., & Bentley, J. H. (Eds.). (2007). Between the Middle Ages and Modernity: Individual and Community in the Early Modern World. Lanham: Rowman & Littlefield, pg. 94. ↑ For more on the role of trade and contacts between Europe, the Middle East, China, and India during the late Medieval period, see: Hebron, L., & Stack, J. F. (2008). Globalization: Debunking the Myths. 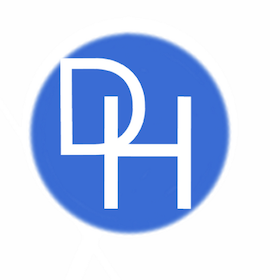 Upper Saddle River, N.J: Pearson Prentice Hall, pg. 2. ↑ For more on the products and long-term impact on Europe based on increased interactions with the Silk Road, see: Arnold, D. (2002). The Age of Discovery, 1400-1600 (2nd ed). London ; New York: Routledge, pg. 6. ↑ For more on demographic and political changes due to the Mongols, see: Harris, P. M. G. (2001). The History of Human Populations. Westport, Conn: Praeger. ↑ For more on the impact of the Mongols on China, see: Langlois, J. D. (Ed.). (1981). China Under Mongol Rule. Princeton, N.J: Princeton University Press.